JPY is being supported due to the new president’s speech and Japan’s satisfactory economic reports. The support rests at 114.42 with resistance at 115.530 which both lines are below the weekly pivot point at 116.870. 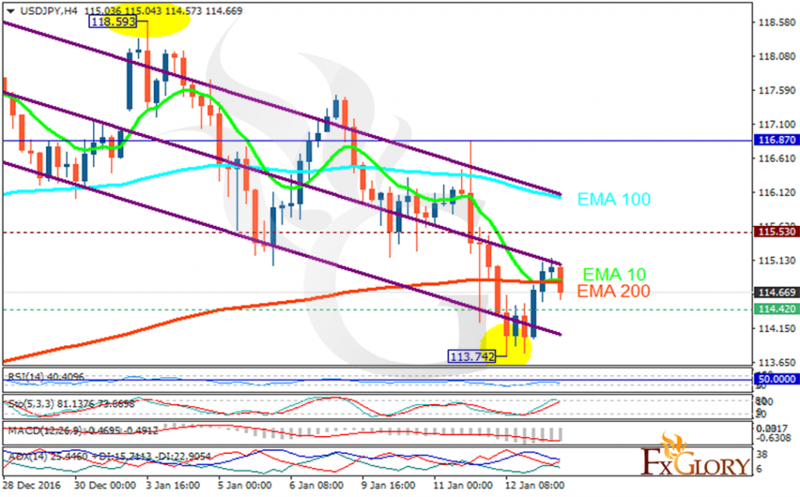 The EMA of 10 is moving with bearish bias along the descendant channel and it has reached the EMA of 200 but both are below the EMA of 100. The RSI is falling below the 50 level, the Stochastic is moving in high ranges and the MACD indicator is in negative territory. The ADX is showing a sell signal. The support level breakthrough will smooth the way for further decline targeting 113.